Recent market survey for the FY-2015-16 suggests there are around 59% iOS users who are squirting day by day. The excrescence of this boom has developed the huge pool for iPhone apps these days. At the same time, one has a right app for the right person at the right time in the market. Not only that, the app has a life that a user can experience while being handy with it. At Siya Infotech, we believe expertise with a bunch of imagination and a synergy in the meticulous efforts would serve today’s iOS market the best. A strong hold on coding languages like Objective-C and Swift allows our users to have a once in a lifetime experience. HOW DOES SIYA INFOTECH STAND OUT IN THE MARKET? In-house expertise of Xcode and iOS developers helps us in being focused and nurtures the organization. This provides a better regular update session to be maintained. Differentiation is what we die hardly believe into to contrast us from the other iPhone apps available in the market. Integrity is one another very profoundly ingested in Siya Infotech. 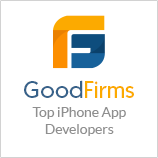 Hence, we work with appropriate guidelines provided by Apple along with pledged approval from the app store. We believe in making the iPhone experience for you that is not just user friendly, but user attentive and receptive at the same time. Experience here at siya Infotech, helps execute designs whereas imagination infuses soul to the app.